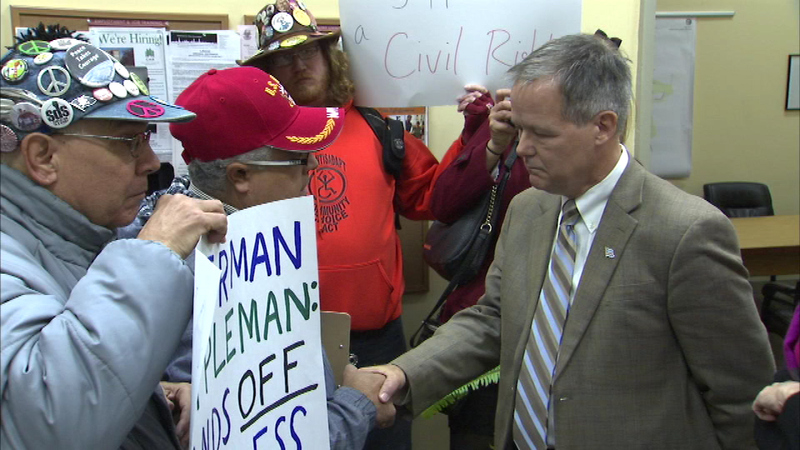 A group of protesters cornered Alderman James Cappleman at his office Monday. CHICAGO (WLS) -- A heated protest disrupted a Chicago alderman's meeting on Monday. The group cornered Alderman James Cappleman at his office and accused him of supporting police sweeps to shoo homeless people out of the Uptown neighborhood. Cappleman says he'll continue to advocate for affordable housing in his ward to help the homeless.